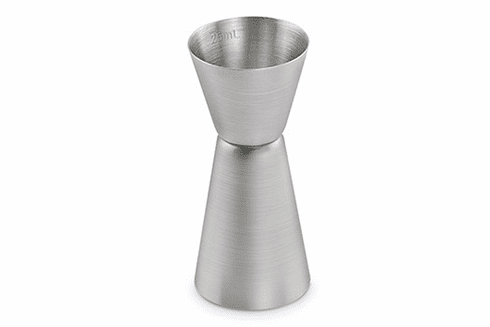 This brushed stainless steel double jigger goes perfectly with a modern bars, or homes setting. The measured 1 and 2 oz. cups ensure accurate pours.